Spinrite Tent Sale: A look back! Hey Crochet Crowd! It is I, your wonderful intern! I made it back from the tent sale at Spinrite! It was a blast! Shout out to all the wonderful crowd members that showed up! If you missed us yesterday, don’t fret, at least one of us will be there on Thursday, Friday and Saturday. The Sale will be running from now until the 24th 9 AM to 5 PM! Holy Cow! The yarn was ridiculous! I mean just look at the size of my balls! 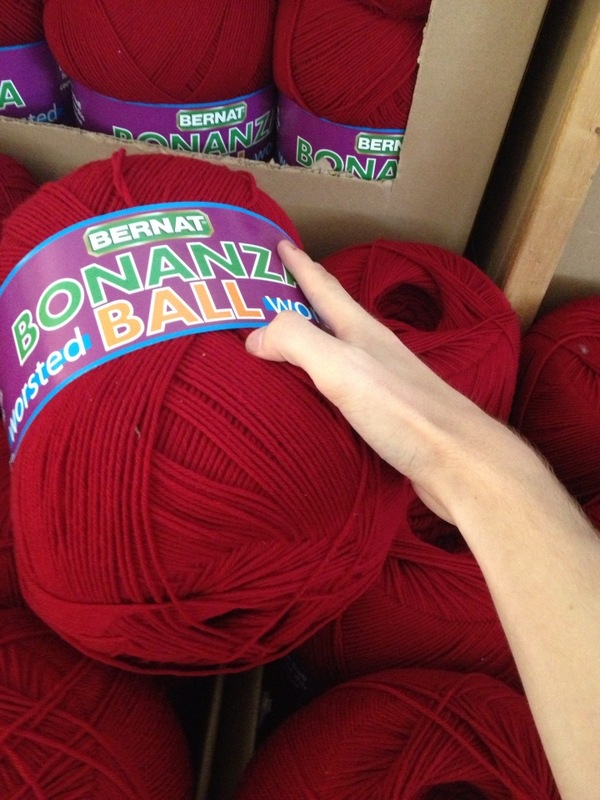 Yarn balls that is! I had a lot of fun, although that may or may not have been caused by the massive amounts of supercharged coffee I may or may not have consumed. I met a ton of awesome people, had awesome food (pulled pork on a bun and bbq baked beans) and I totally scored on the yarn front! FYI Bamboo yarn is really, really awesome! So I spent the day taking pictures, shooting video live posting it to everyone who couldn’t make it out to Listowel! I totally recommend that you try really, really hard to make it out there! just check out all the glorious yarn! This entry was posted in Announcements and tagged AM, Balls, Ian, Listowel, Spinrite It, Yarn. Bookmark the permalink. 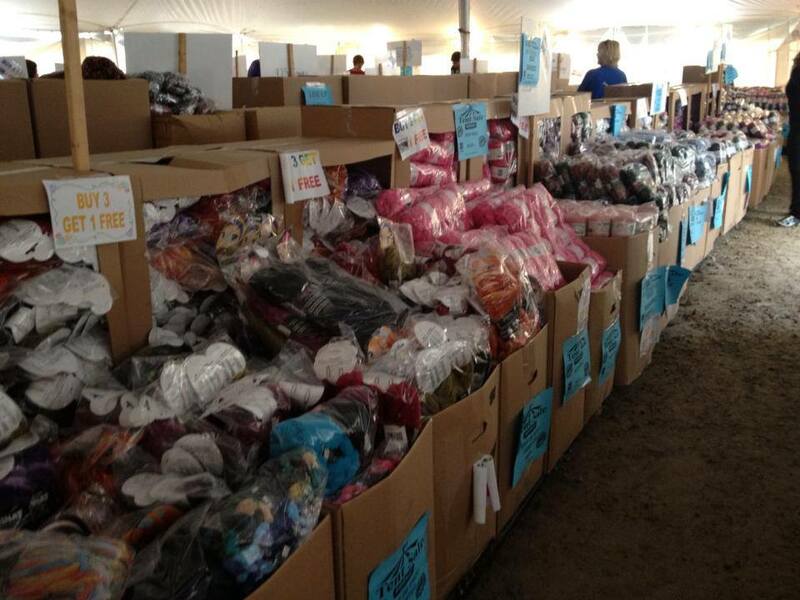 12 Responses to Spinrite Tent Sale: A look back! ok, so i decided to give myself more sufferage by reading the blog…yes, i don’t need yarn, i have a room full, but darn, its like putting a jar of candy out in front of a kid..and you guys posting all these pictures of all the yarn those of us that live way too far away from there to attend get to just look at and drool….i swear ya’ll love to tease!! Ian, I love your “balls” Dude! You haven’t said… do you crochet? If so, please post a pic of one of your projects. If not, WHY NOT?! Thanks for the update! I wish we had events like that in Sacramento! If I fly up from TN I will need a place to stay. Got an extra bed for comfy couch? lol Ian are you a crocheter? That is my idea of what Yarnvana must be. I wish it wasn’t so far away from me or I would go. Ian, have you taken up crocheting yet? Ontario?! wow! I’m with the above person. Anything like this happen in the US? I’d love to find a tent sale like that down here in Tenneessee.. or at least within reasonable driving distance!